An 8-foot gator was spotted wandering at a Port St. Lucie house yard. 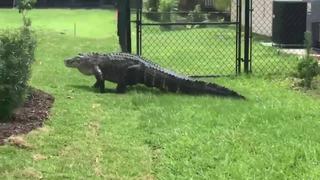 A construction crew working on the home found the gator after noticing people taking pictures. The gator went into a canal behind the house before Animal Care and Control could arrive at the scene.